'AmaZulu could make history against Chiefs in PSL match' - SABC News - Breaking news, special reports, world, business, sport coverage of all South African current events. Africa's news leader. The last time Amazulu beat Chiefs was in 2007, when they won by two goals to one. 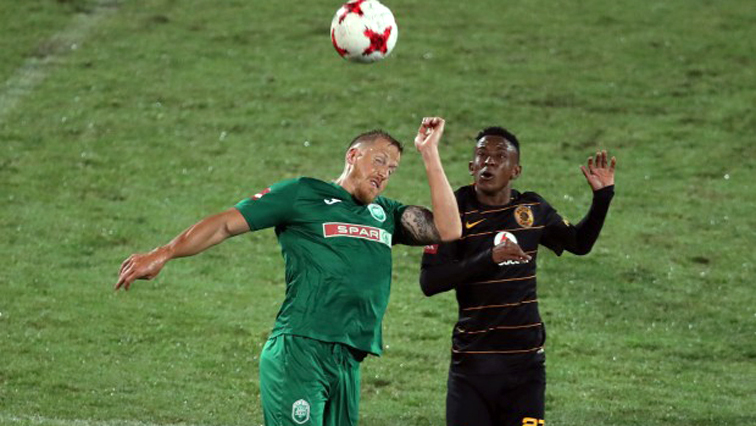 AmaZulu defender Marc Van Heerden says the club could make history when they meet Kaizer Chiefs in the Absa Premiership match on Wednesday afternoon. The two clubs will meet at the King Zwelithini Stadium in Umlazi. USuthu will be seeking to bring an end to the 12-years of nightmare against Amakhosi. Chiefs have enjoyed some good times playing against AmaZulu five seasons ago – Chiefs trounced the KwaZulu-Natal based team by 6-0. The last time AmaZulu beat Chiefs was in 2007, when they won by 2-1. Van Heerden says his side is in top form. Meanwhile, Kaizer Chiefs will visit AmaZulu on the back of a defeat against Zambian side Zesco United in the Confederation Cup. Despite their loss to United, Amakhosi have done well in the domestic league since the arrival of Ernest Middendorp. Van Heerden says it is difficult to play against a wounded lion. This entry was posted on 16 Jan 2019,11:00AM at 11:00 AM and is filed under Sport. You can follow any responses to this entry through the RSS 2.0 feed. Both comments and pings are currently closed.